While choosing a platform to create a blog sites for websites we get plenty of suggestion of CMS, WCMS, and Framework CMS. And it seems difficult to find out which will be the best platform to start your blog sites or you can say websites. Mostly there are plenty of platforms to create an awesome blog site to manage your Websites content, templates and layout. But in this post, I have just mentioned 20 blog sites platform via a short description. To get the right platform to create a blog site or website according to the business profile. Let’s have a look that what I have for you? List of blog sites to create a professional and dynamic website. Drupal is a content management system and one of the best blog creating sites. Where you can create an outstanding and dynamic blog via using drag and drop features. It provides a theme which let you manage your content and presentation via flexibility. Drupal is open sources content management systems which provide free services to his user to use his dashboard interface. You can get more than 2400 free community contributed themes to use and free open sources software that can be used by individuals, group and user. Drupal is Written in PHP languages and distributed under the G N U-General Public Licenses. Drag and drop features to manage layout and site administration and Available in 100 languages. It was initial release on May 18, 2000. Operating system – UNIX like, windows. A theme more than 2,400 free community contributed themes to use. WordPress is one of the most popular open source content management systems which cover 60% of the worldwide website. It provides a platform where you can get thousand of a freemium and free plug-in to manage your site and to create dynamic and professional websites. And via using those plug-in you can extend the features and functionality. To use word press platform you need to select a theme to present your websites or you can create and develop your own custom theme for your blog sites. You don’t need to be professional of programming languages to use WordPress Dashboard and features. And you can access via multi-user and multi-blogging. Initial release on May 27, 2003, and contributed in PHP, HTML, and CSS. Operating System-Unix- Like, Windows.Available to use as Blog Software, Content Management System, Content Management Framework. Distributed under GNU- General Public Licenses. Weebly is known for providing a platform to create a e-commerce and integrated marketing websites. Actually, Weebly provides hosting services to his user to manage e-commerce storefront blog sites on the web server. And it is one of the most lovable hosting services for awesome features like- Drag and drops, automatically generated mobile version blog sites and via unlimited storage. Weebly provides a platform where You can get professional Domain which ends via .com,.net,.org, .co.info, and .us etc. The initial release on March 29, 2006.and known as Webhosting Services. Wix provides a platform where you can create or build a dynamic website and facebook page. It is cloud-based blog site to create websites related to culture performance, artist and business etc. Wix provides a free and freemium service to his user .where as a free user you can access Wix features via limitation. It is known for his multiple features via online drag and drop tools to create HTML5 Websites and Mobile friendly blog sites. The initial release in 2006 and provide a service for Websites builder and web hosting services. Joomla is known as an open sources content management system which provides a simple interface dashboard to his user to create awesome blog sites. It provides a third-party extension tool and thousands of templates to use free and provide a Directory of 8000 extension tool to manage or customize your blog site interface, design, and layout. And working under the graphical user interface (GUI) to create or manage layout and other features like font and color etc. Via including outstanding features like page caching and RSS feed etc. And Available in 70 multilingual languages. Which is written in PHP and welcome via a cross-platform operating system? And published in GNU General Public Licenses. initial release on August 17, 2005, known as a content management system, Content management frame Work. Blogger provides a free platform to his where you can create a blog and share to Social Sites. Actually, it is a Google product and Available in 60 languages. Blogger provides free templates via outstanding design to create a blog via using Drag and drop templates editing interface. It also provides a platform where you can create your own templates via using CSS. You can create 100 blogs for a particular account and write an unlimited blog post for each and every blog site. It is a blog hosting sites written in python and Initial release on August 23, 1999. Medium is an online publishing tool where you can access via registering a sign up free Account to use this blog sites platform. To use this platform you need have to register via Google Gmail, Facebook or via email address. Actually, it is a short blogging platform which is similar to twitter and tumbler in some cases. And mostly medium platform is used as a Social, journalism and short magazine etc. It is an online publishing tool which was initial release on August 15, 2012, and Mostly known as a social media platform. Actually, it is a cross-platform which is distributed under the MIT Licenses. Ghost org is a proper SEO built platform which was initial release on October 14, 2013. Square space is blog sites which provide a platform and known as a publishing tool. It provides a platform to manage or create a website and hosting and provide the best service for online store or e-commerce blog site. Which provide a platform to build a Dynamic and user-friendly website. It provides a simple interface Dashboard platform to his user. Where you can get features like Module templates, style editor, templates Switching, customize the content layout, and custom CSS etc. Django is known as an open source content management system to create a professional website. And it is the one of the best content management system (CMS) to create a blog sites website For Marketer and Business leader. Django is known for his drag and drops features which have more flexibility to use and customize templates and layout. And Django provides features SEO called as SEO tool. 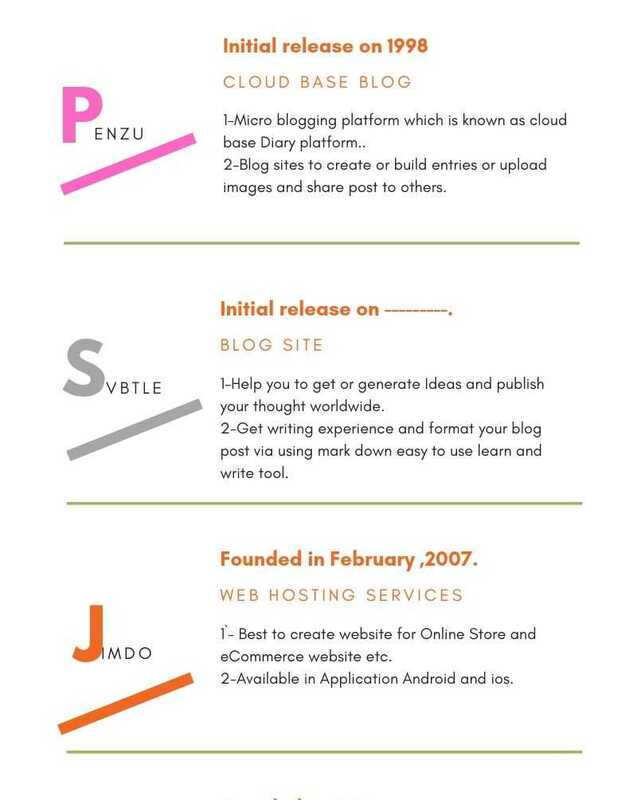 Penzu is a microblogging platform which is known as the cloud base Diary platform. Where you can keep your all document and short notes safe and private in a secure server. It is mostly used for a blog site to create or build entries or upload images and share the post with others. Penzu provides free and paid services to his user wherein a pro plan you can access via Customization features. Like-changing font, color, and theme on your personal and secure website. It is a blog site of Type –private diary and was founded in 2008 and available in App for Android and ios devices. Svbtle is a blog site of blogging where you can read and write your thought as a writer. You can get Svbtle blog sites to help you to get or generate Ideas and publish your thought worldwide. Through Svbtle you can get writing experience and format your blog post via using markdown easy to use learn and write tool. You can get innovative Dashboard interface on Svbtle which provide a platform to the redesigned theme. Web blog sites provide a platform to manage your website via web hosting services. You can get access via free and paid account or you can say it is fermium tools which provide a hosting service to host your website. The best thing of web.com is it provides a platform where you can create or design your website. Actually, you can say it provides professionally designed templates which are free to use. To use these templates you don’t need to do extra coding on web.com blog sites. Web.com provides or you can say welcome via plenty of features services like –Domain registration, Web development, Web hosting, and online advertising etc. It was founded by key people David brown in 1999. Jimdo is known for Web hosting Services which provide services in four free and premium plans. Wherein free services you get free Jimdo services and Free Web hosting Services and in the premium plan, you get Jimdo pro and Jimdo Business. Jimdo is available in 8 languages like- German, English, French, Spanish, Japanese, Russian, Italian and Dutch. It is one of the best blog site platforms for those users who are looking to create Online Store and e-commerce etc Website site. And Available in Application Android and ios and was founded in February 2007. Typepad provides a hosting service where you can publish your blog site to the worldwide internet via using Typepad platform. It is the most loveable hosting platform by the Organization and social media company to host their blog and commercial websites. Typepad was launched in October 2003 and known as a blog hosting service. Type 3 is an open source content management system and also known as a web content management system to publish your blog sites. It is known software for his flexibility of one-click installation process. which was Initial release on 1998. Typo3 is written in PHP and work as a cross-platform. it is most useful content management and web management system to manage or build a small or large corporation. It provides a platform where you can get the number of extension tool to manage your design and layout to create a beautiful website. Released under GNU general public license and available in 51 languages. Open CMS is a content management system which is Alkon software distributed under the GNU – Leser public license. Which is Available in java programming language via java and XML platform. Initial releases in 1999 and the open CMS software run via the web browser. Open CMS provide a Drag and drop features to manage your website Interface Directly on the web page. It is a cross-platform Publishing web browser-based content management system. To use open CMS platform you don’t need to be expert of coding languages. It provides a feature to manage your templates or layout without coding via WYSIWYG editor. Dot CMS is known as a Java-based open source content management system and distributed under GNU General Public License. It was Initial release on January 2009 As an API Based CMS and Layout API. The best thing of Dot CMS is it provides flexible features drag and drop to manage or control your templates and layout. Actually, it is a cross-platform which provide a platform to remotely manage your Web content. Kentico is known as Web Content Management System Which was initial release on August 1, 2006 and was developed by Kentico Software. It provides a platform to create a dynamic website for online marketing and e-commerce etc. via using Kentico awesome features. And also offer Web content Management system like-WYSIWYG editor tool and platform to create multilingual content. Kentico offers five functionality Area to manage Kentico CMS like- Content management, online communities, Intranet and collaboration, online Marketing and e-commerce blog sites. Types of support CMS, WCMS, E-commerce, online marketing platform and distributed under licenses Free Edition, Proprietary. Pulse CMS is a software which is designed to create or manage a small website. It provides a features WYSIWYG editor tool to edit and manage your content, Media Manager, Gallery, and Backup system etc. Pulse CMS is written in PHP and distributed under license of proprietary. To use Pulse CMS platform it required Apache and PHP 5 and pulse CMS doesn’t require a database it used a flat file. 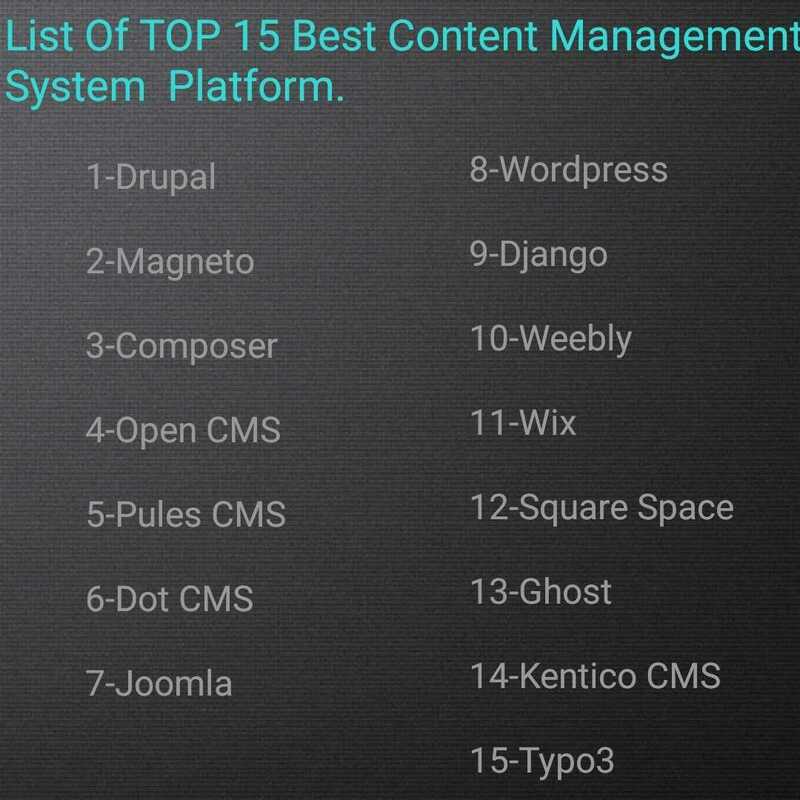 1-Top 15 best content Management system example to build a Website. 2-Top 12 best free SEO tool checker to empower your website speed and search engine ranking. 3-Top 15 Plus Best keyword research tool free to boost your Websites ranking. 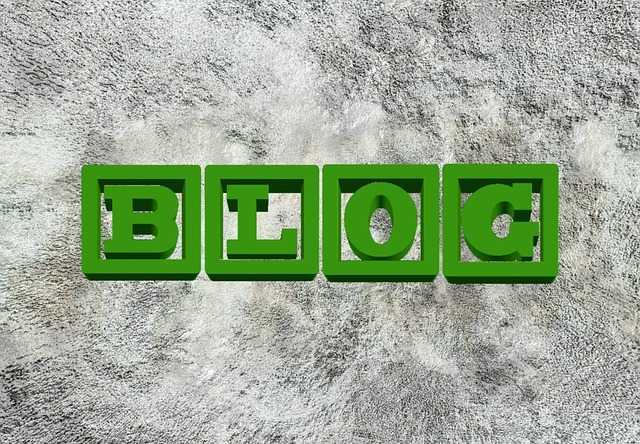 In this post, I have mentioned some useful information about blog sites via a short description. On the worldwide internet, there are plenty of blog sites or content management system to create a dynamic Website. But I have mentioned some of them which are useful to get going via your new website according to your business profile. For any query or suggestion feel free to comment on comment section box. Information source is from Wikipedia and other web research based. A content management system is a software which provides a platform where you can create or edit post, image, and video. And content sharing platform actually it is designed to support and manage web page content. The best thing about the content management system that you don’t need to be expert of programming to build or to create a dynamic website. Web content management is an easy design of content management system, where web page includes graphics, photos, audio, videos and set to display content and interact with other users. Drupal is known as Drupal core content via basic feature, which manages system via the Drupal core installation. It provides a simple website multiple user block and internet forum for user community website for user-generated content. Drupal runs on the computing platform that supports web server and data based store content, internet management system. It is known as cross-platform web content management system which is written in PHP programming language. Which work as a content management framework, content management system community, and block software etc? Drupal content management system welcome with Linux Apache MySQL and PHP and the best thing it provides a platform of multilingual languages. Where you can manage the site from different reason and geography you can also display your content in multiple layouts for a responsive website. Drupal content management systems provide a platform where you can find essential for content creator and publishing editor tool like WYSIWYG. And you can also communicate with the Drupal content management system community. Where it shares a secret answer to your question starts via How, what, which etc. You can use the Drupal content management system to manage your site in different many sites in a single platform. And it also provides content creating Architectures where you can display video, infographic, PDF file etc. It automatically resizes and creates a web page mobile friendly, No matter in which devices your user are active it is suitable for all devices. The Drupal content management system is also known as a web content management system. which was initial release on May 18, 2000. Magneto content management system provides an open source e-commerce platform which is written in PHP and support MYSQL and Zend PHP database. it provides a various type of additional feature to create or build a beautiful and professional eCommerce website. Magneto is known for his high-quality security via Secure eCommerce platform it provides a platform where you can easily build a scalable and better eCommerce Store by using Magneto file and folder. Magneto is well used by the world biggest Big brands business company to secure and to power their e-commerce website. Composer provides a platform, where you can create a website via advanced feature and dynamic functionality. Actually, it is known as the next generation content management system, where it provides the latest responsive design to create a beautiful and dynamic website. Composer Content Management System is written in PHP programming language with my MYSQL database. Open CMS is a platform of Alkon software which is professional and easy to use to create a beautiful and professional website with open CMS content management system. And the best thing of open CMS is It provides a fully browser-based content management system where you can customize or editor tool WYSIWYG. it is an open-based platform of Java and XML Technology which is developed in an open source environment example- Linux, Apache, Tomcat MYSQL. And the best thing about Open CMS is it provides a platform open content management system community where you can edit or customize with drag and drop features. Open Cms welcome via java programming which supports HSQL, Oracle, MYSQL, SQL server DB2, Postgres SQL Database. Pulse CMS is a content management system and known for its beautiful design which fit your site and provides a popular design tool. it provides a tool to customize your website via editing tool to create an exciting, beautiful and stunning website. You don’t need to be an expert for coding in HTML or PHP programming skill. you can simply edit code with copy and paste on your website. And it also provides a user blocs features, where you can edit design in a bloc for MAC with using drag and drop tools. Used Rapid Weaver for MAC using your favorite theme and you can use pulse builder drag and drop to customize your layout with bloc’s elements without any coding. Dot CMS is an open source of the content management system which provides a platform to manage your content and content sites and application. And Dot CMS welcome with operating system UNIX like Windows, Java-based performance. 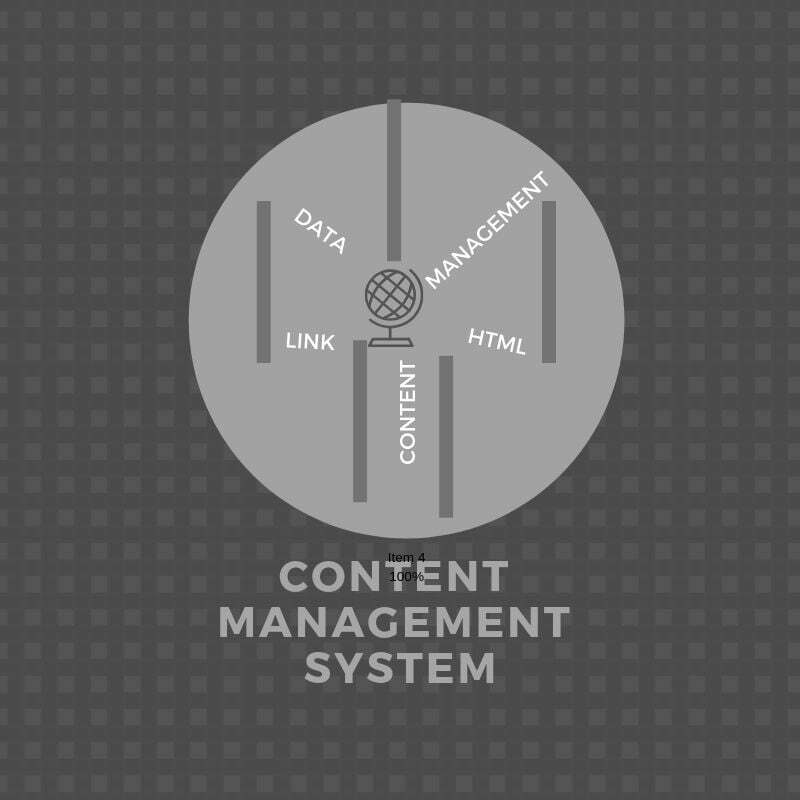 Dot CMS provide a complete comprehensive solution for Content management system via open source platform. It provides full freedom to create or build a beautiful, stunning website about your need. And the best thing of the Dot CMS is it operates via MYSQL, PostgreSQL database and provide a full community support. Dot CMS is a powerful platform of Awesome features, which provide a platform, where you can manage content across your organization and digital channel. Joomla content management system is one of the oldest version of the contact management system. And it was initially released in 2005 this is a content management system which provides a specific platform. Where you can get plenty of free extensions and templates to customize your site to look stunning and professional. And provide a search engine friendly, a website where you can find unlimited design and templates. The best thing about Joomla it also provides a platform for multilingual languages via multiple user permission levels. It’s written in PHP and support database of MYSQL, PostgreSQL, MSSQL, and SQLite. Word press content management system is one of the best content management system in the Worldwide internet. Where the WordPress user are approximately 60%in the digital word. Which provide a free and open source platform of a content management system to create websites? WordPress is written in PHP programming languages and support MYSQL, PostgreSQL System Database. And the best thing of Word press is it provides a feature like including Plugin architecture. Where a user can add New and install plug-in about their need to customize their websites. And it provides a free theme which is user-friendly to create the stunning website for any kind of business or blog etc. it is available for all platform to build websites for business purpose, E-commerce, online store website, and blog etc. And the best thing about WordPress is you don’t need programming skill to create or build professional websites on WordPress. You can build your website with help of adding new and installing plug-in on your WordPress dashboard. And you can easily customize and create beautiful websites According to your need and how you want to look at your websites. WordPress provides an absolutely free plug-in you can also use premium plug-in which provides an extra feature to use. And to improve your search result there is plenty of plug-ins to use and the most important plug-in is the Yoast plug-in. Which provide free and paid premium services to improve your search result on the search engine? Django is a content management system, which is an open source platform. And it is mostly known for his best easy to use tool according to the other content management system. Django also provides a platform where you can use useful features like user authentication RSS feed content administration sitemap etc. And another task and the best thing of Django is a web development task which is fast and easy to create a professional website. It also provides a free API key which is python API to access your data. Django provides a platform where you can automatically create a website to add a user, change, and delete object. It is written in Python programming languages and support PostgreSQL, MYSQL, SQLite3, and Oracle database. And easy to design Website Via automatically generated features about your need. Weebly provides a platform where you can build an e-commerce website and it is the best Integrated Marketing content management system for small and large business. It provides a platform where you can create a free website or blog in a minute by simply using and drag and drop. And the best thing about Weebly it is the most useful platform. To those people who don’t have any Knowledge of programming skill can also build their own website in a simple and easy way. Via Weebly, you can build a website via using drag and drop features which is quick and easy to build a simple and professional good looking websites. If you are trying to create a website according to your e-commerce, Business profile, online store website, blog or just general interesting websites. Then Weebly is the best platform to create stunning e-commerce Websites which look like a professional blog or websites. Weebly provides an API service and a platform to manage or to customize your website’s design with using feature drag and drop option. Wix provides a platform Where you can build a free professional website. Wix is the best content Management platform for creating a account management which provides a website builder Features which make your website to look professional. It provides more than 510 stunning templates which are free to use which covers related to all industries. and provide a tool to edit including the best drag and drop features. Wix is more in Demand for the small businessman, Cafe, and restaurant, musician, graphic designer photographer etc. Some futures are similar to another website like free templates that other websites provide for their user. And the best thing of Wix is drag and drop features from which You can create and build any website related to your product and services. Design your website with your own, the way you want to look your website via using drag and drop features. Square space is a content management system that provides a restaurant tool used to create a stunning website. And the best thing of square space is that it provides user free 14-day trial and after that, you can choose or select your custom Domain via premium package. Square Space is all in one of the best content management service provider, where you can create or build a beautiful website, get a domain, e-Commerce site, online store, galleries etc. And the best thing square space is editor usability where Square space provides features to edit content live without switching. And it is website builder platform to build a blog. Portfolio your site online store and all advertisement plans are free. Ghost is known as an open source publishing content management system platform, which is free for everyone. And it provides a simple and easy to use features to create a beautiful stunning website. Ghost provides features which are flexible to use like to customize your websites, your logo, design, menu navigation etc via a simple click. And the best thing of ghost content management system is it provides an AMP (Accelerated Mobile page) which increases your search visibility. AMP automatically sized your blog or websites to mobile friendly in Amp framework. It provides a free theme and premium theme which are SEO friendly and also provide SEO tools which Automatically serve to SEO built directly. Kentico CMS is a content management system and it is known for building a website like an online store, e-commerce websites, A/B testing etc. It is written in ASP Net and provides a leverage features, which are ready to use in multiple languages. And support Mobile preview and device detection, support SQL Server database. Typo3 is an open source platform which is known as a content management system and Available in 51 languages. It provides a one-click install solution to his user and written in PHP programming language and support MYSQL, Oracle and PostgreSQL. And known as a cross-platform you can use typo3 to build and manage websites in different types and size ranges for a small and large business or corporation. Typo3, provide an extension tool of features to modify or customize or edit your websites to look beautiful and professional. On the Digital World there a plenty of Content Management System, Web content Management System etc. In this post, I have mention top 15 content management system platform, which is useful to build a professional, stunning and dynamic website.